Lego 41078 Elves Skyra’s Mysterious Sky Castle Lego Elves Skyra’s Mysterious Sky Castle is just as fantastic as we expected it to be! This is one heck of a lot of Lego play in a box…the set features 808 pieces in 7 numbered bags, including 3 mini-figures, a Pegasus horse, and owl, a spa ..
Lego Elves Skyra’s Mysterious Sky Castle is just as fantastic as we expected it to be! This is one heck of a lot of Lego play in a box…the set features 808 pieces in 7 numbered bags, including 3 mini-figures, a Pegasus horse, and owl, a spa room, lava kitchen, dining area and 4 magic keys. None of which actually does justice to explaining just how much stuff is in this box! There are loads and loads of pieces…the picture below is the best one we can find showing how the set looks fully assembled, but it’s hard to convey just how much play value is in this from that alone. To put it in context, the product comes with a glossy instruction manual with 122 pages of detailed diagrams & graphical elements. There are many, many hours of play value in this set. We left one child with the set for a day (although they were probably distracted at various points) and they completed a fraction of the castle. 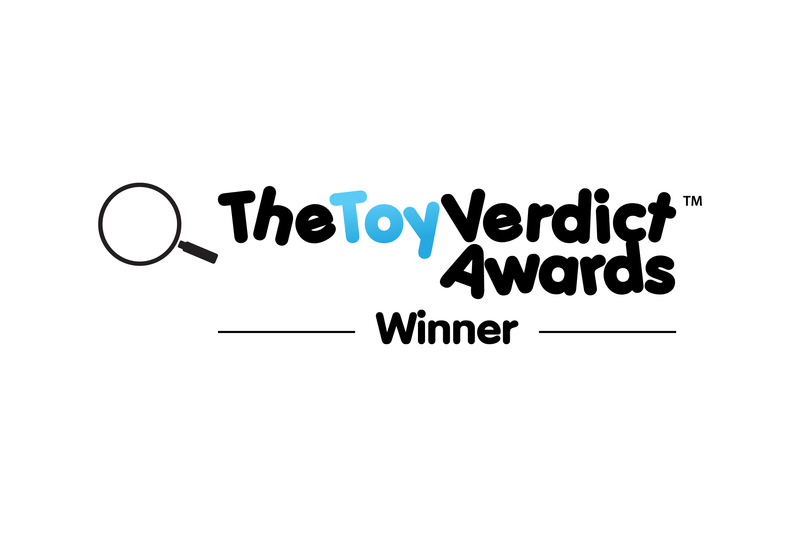 And perhaps more impressively than that every child we tested this with wanted to play with it more by the end, which pretty much tells you everything you need to know about play value – there is a lot of it! Clearly we’d expect that from what is after all a higher priced product, but Lego Elves Skyra’s Castle really does not disappoint. Both of these ways of playing contribute strongly in a developmental/educational sense for children. Spatial awareness may be something adults take for granted, but large scale Lego kits like this allow children to really start to develop their ability to understand how things fit together in the world around them. Moreover, the process of carefully following technical instructions in a fun way has much to offer also in terms of opening up a different world of education versus school book study. We often find kids who don’t have much interest in school/school work really love building with Lego, which means kits like this offer considerable encouragement to those who may become tomorrows engineers and architects! More free form play with Lego has the advantage of letting kids explore their imagination in a truly creative process which again can offer encouragement to kids who may be less interested in more academic subjects. One of the interesting things about watching kids play with Lego is that they often play in different ways to each other i.e. one child we tested this product with wanted to follow the (detailed) instructions step by step from start to finish and to play in a very structured fashion, whereas others wanted to take the distinct pieces/figures and construct their own environments loosely based on the castle or the kind of environment that these characters may find themselves in. Which brings us to a definite warning point with this kit…once you open the individual bags and mix the pieces together, good luck to anyone trying to separate the pieces back out again – you have been warned! Clearly kids tend to love the figures as lead characters in the world around them, but they also really liked some of the very clever structures they could build e.g. the spiral staircase. As ever Lego really does these things very well, and the level of detail on the individual bits and on the whole thing is impressive as ever (something we tend to take for granted with Lego). The figures included in this set have several layers of articulation i.e. 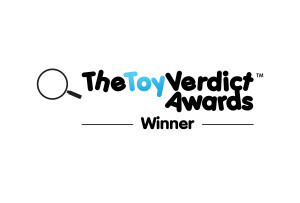 their arms, heads, torsos and necks can be moved and their hair, heads and torsos are detachable, which creates opportunity for kids to mix and match characters which is always entertaining. The horse included is a little more basic in composition, being effectively one big piece, albeit with hooves which clip nicely onto other bricks/pieces, and with space to add more pieces/characters on top. The set is literally bristling with mini features to the degree that we can’t really do them justice in the space available for this review, but as a typically nice example, the set includes a lovely sun umbrella which can be locked into several bits with the hole to accommodate it, which adds to the overall feeling of huge attention to detail. WHO’S IT FOR: For kids from around 8 years of age upwards who like Lego play, and who need more complex and involving construction/building sets. Clearly those who like fantastical worlds of elves will enjoy the theme of this set most! 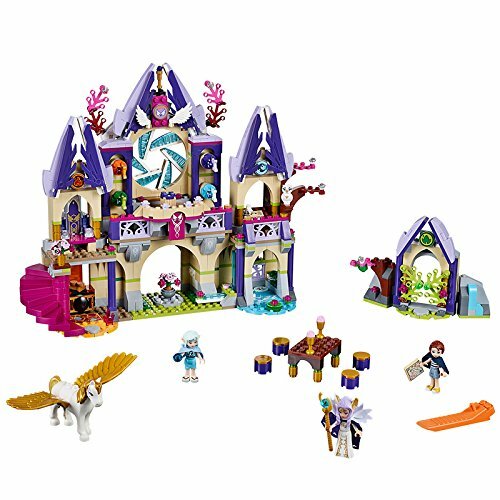 THE TOY VERDICT: Lego Elves 41078 Skyra’s Magical Castle is really very good, with bags and bags (literally) of play value, fantastic detailing and some really lovely pieces. Highly recommended (for those Lego fans who like Elves! ).